Our mission is to quench the thirst of every man yearning to be led, initiating and guiding them in becoming leaders in their own families, professions, communities and circles of influence - men of impeccable integrity who bring order out of chaos, who embody a sense of calm in the midst of calamity. We build mature, masculine men who take responsibility for their own lives and actions - men who are clear on their life’s purpose while walking this earth and who live that purpose out loud. We build men who know who they are and know where they are called to serve. Men who look upon the world with a firm but kind eye...who lift up their brothers, not tear them down. Men who do not abuse power or take this power of masculine embodiment to serve themselves, but rather, to serve others. We build men physically, spiritually and mentally who can stand in the fires of adversity and conflict and not be consumed by the fire, leaning always on an inner source of the Great Mother for strength, and always knowing their own limitations. Like any worthwhile creation, before the birth of something new there is pain. The pain of my self-discovery and clarity of purpose took nearly 25 years of spiritual labor and 5 days of delivery. This all resulted in my clarity of purpose and the birth of EmbodiedMasculine.com. These 25 years consisted of soul searching, service, working with hundreds of men, learning to surrender to everything outside myself that I thought would bring me peace, teachings, retreats, self-introspection and travels to far-off lands in search of answers. The 25 years had matured me spiritually, but there was always a part of me that felt discontented in that space and felt I had yet to discover my purpose on this planet. The 5 days of delivery, as I like to call it, came during a leadership retreat deep in the Mojave Desert. My friend John had invited me to teach at this training and to be a participant if I chose to. I said yes. It may have simply been my time for “delivery”, but it happened in the midst of 32 powerful men. 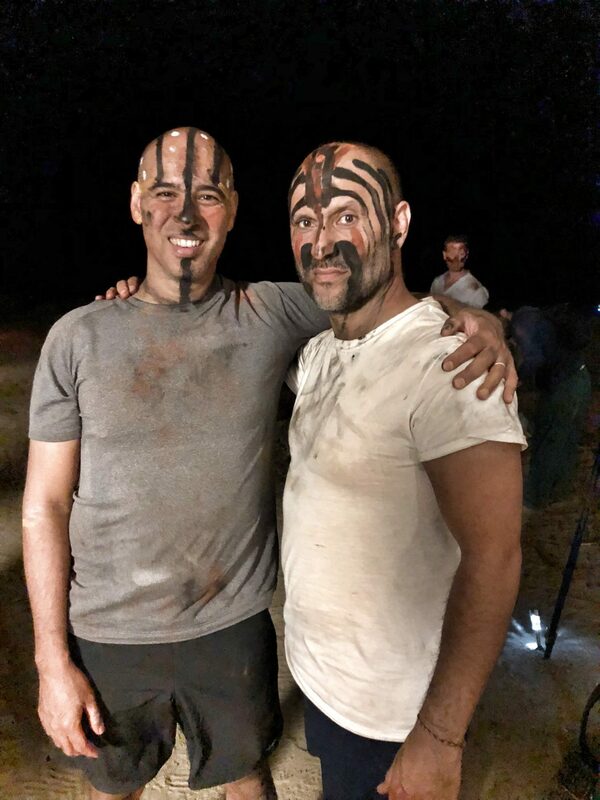 Through a series of profound practices and shared comradery in the desert, it became clear to me how hungry our society is for more men like these - men of integrity and commitment to a higher calling. It became clear that men of all ages need the initiation and training to bring them into the fold. I made up my mind to dedicate the second act of my life in service to building men, for boys are born but men are made.